For sixteen-year-old Mary Harris, growing up in Rotherhithe in 1934 has its ups and downs. 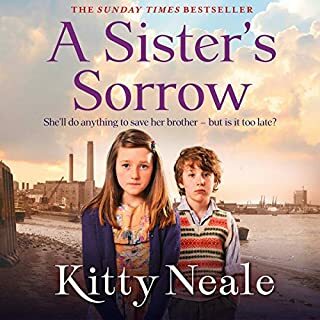 She has a good job in a biscuit factory and a best friend, Liz, who's fun to be with, but she's worried about her younger brother Eddie. Eddie is a difficult child whose bad behaviour affects the whole family. Although Mary's stepfather Ted denies losing his temper with the boy, Mary's seen the bruises on Eddie's small body. It's 1943. 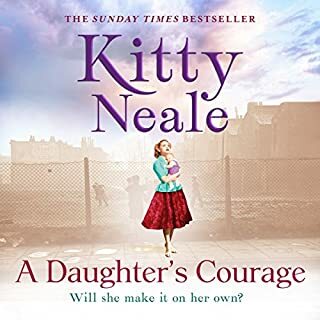 When Babs Scott loses her beloved parents in an air raid, she is left homeless and alone. 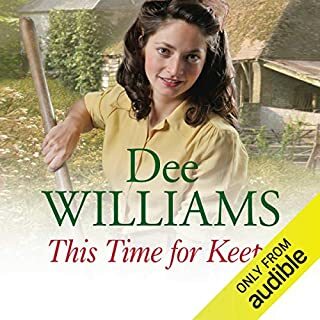 The Land Army offers her a new life away from the bombed streets of Rotherhithe and, despite the backbreaking toil, Babs loves the fresh, clean air and green fields of Sussex. 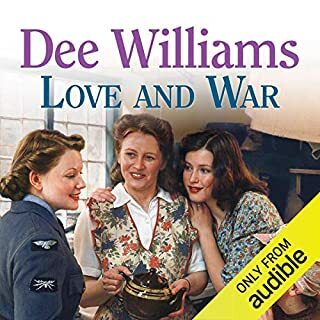 Soon the farm begins to feel like home and, with the support of fellow Land Girl Lydi Wells, Babs starts to heal. Then two Italian prisoners of war are sent to the farm to work and Babs's safe world collapses again. 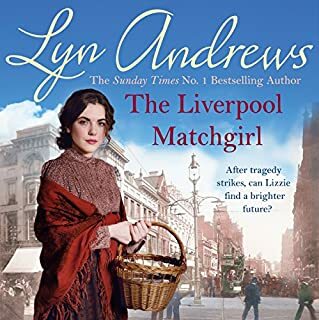 It's late 1935, and Sue Carver is living with her parents in Rotherhithe, working in the office of a local car dealer. Pretty and vivacious, Sue has many admirers, but her main love is dancing. One night, a handsome new singer appears at the local dance hall, and Sue falls for him. But then he moves on. And then, just when things look like they could not be worse, tragedy strikes. In 1950, after her marriage went badly wrong, Dolly Taylor returned to Rotherhithe from America. She is now helping her best friend, Penny, to walk again after she contracted polio. Not able to have children of her own, Dolly envies Penny for having a beautiful baby daughter, Gail. Penny's husband, Reg, has set up his own business as a builder and offers Dolly a job in the office. Tony, who was engaged to Dolly before the war, also works for Reg and is still pursuing his childhood sweetheart. Sisters Connie and Jenny Dalton have always taken it for granted that there will be food on the table and a roof over their heads. In their comfortable house they're sheltered from the deprivation in which their housemaid Molly lives with her family in nearby Rotherhithe. Everything changes in April 1912. As the girls wave their father off on the Titanic's maiden voyage, little do they know that soon he will rest in a watery grave. 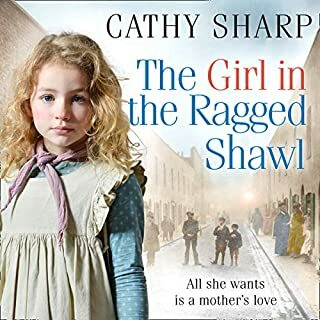 Millie Ash, born into terrible poverty in the backstreets of the East End, has always wanted to better herself. 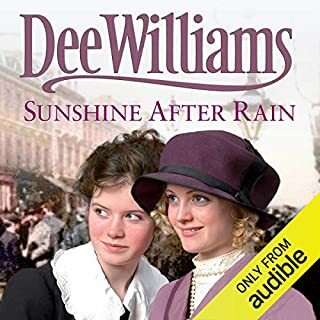 She gets her chance when she lands a position as a lady’s companion, her charge the disabled daughter of a well-to-do London family. Millie adores her work, and even starts to develop feelings for the son of the house. 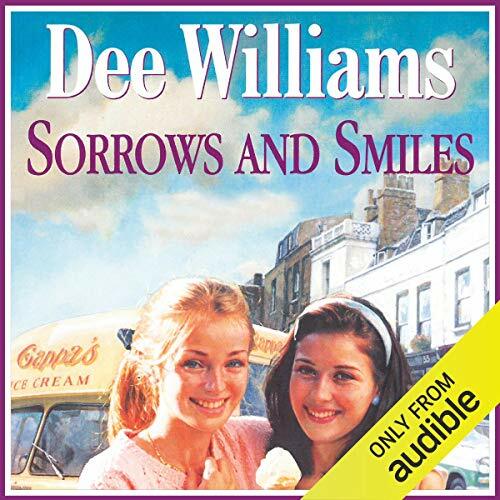 But years later a tragic accident causes Millie to lose her job and, along with it, the life she so loved. 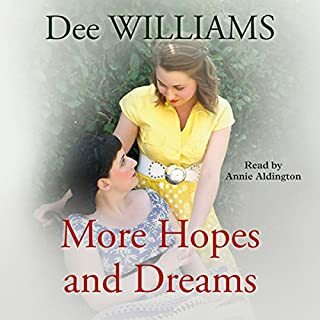 As she goes from job to job, working variously as a typist, factory worker, and nurse, will she ever find happiness, and love, again? 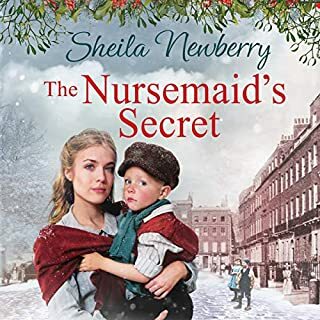 When a naive encounter at a Coronation party leaves 16-year-old Janet Slater pregnant there's no question in her scandalised parents' mind of her keeping the baby. 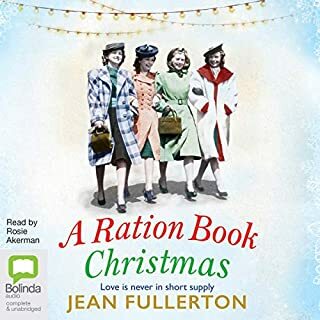 Bundled off to a home for unmarried mothers in South London, Janet is about to face the hardest moment of her sheltered life alone. Forced to give her tiny daughter up for adoption, Janet promises her that one day, come what may, she'll find her. 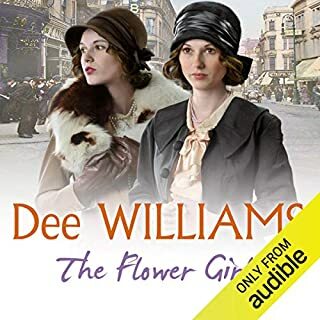 Identical twins Lily and Rose Flowers aren't from a rich family, but they lead a comfortable life in 1920s Rotherhithe with their mum and dad. The twins are the apple of their parents' eye, and each other's best friend - they always know what the other is thinking. Feisty Rose has a more rebellious nature than her sister, but it's never before interfered with their closeness. However, Rose's secret dissatisfaction with her humdrum lifestyle reaches a head when she meets the rich and handsome Rodger. It's1942, and Dolly dreams of distant lands. As the war rages on, excitement comes in the form of American GIs posted in London. Although Dolly is engaged to Tony, she can't help but fall in love with Joe, a dashing American. 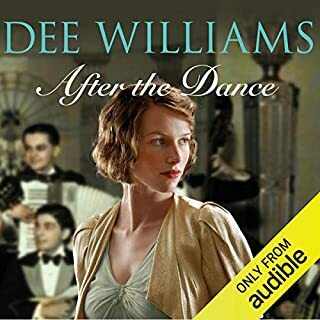 More wartime love, tragedy and drama. 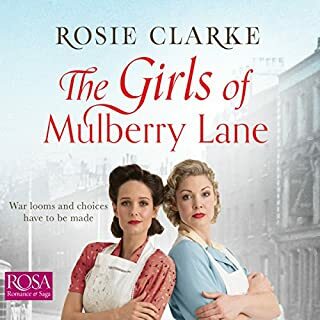 As the Second World War enters its final year, Ruth Bentley feels life has dealt her more than her fair share of trials and tribulations. 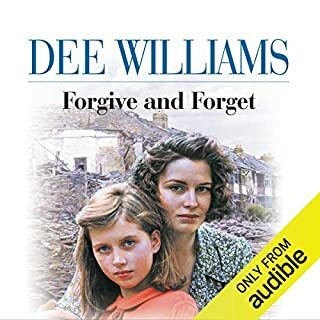 For the second time she has lost her home in a bomb attack on Rotherhithe, and with her husband away fighting, her two daughters evacuated to Wales, and her mother killed and father seriously injured in the attack, Ruth is left to face the devastation alone. But Ruth finds friendship with Lucy, and both women dream of the day when they’ll be reunited with their loved ones. Just a bit to bland for my taste. 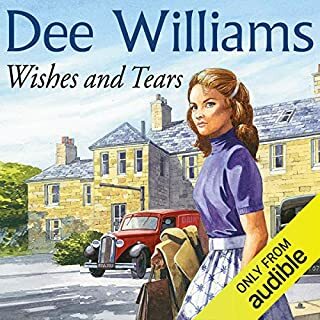 Young Pam King can't believe her ears when her Gran, Ivy, forbids her to see Robbie Bennetti. Pam and her mum live with Ivy in Rotherhithe, and Pam's always got on well with her gran. But she won't say why she's so against Robbie, except to announce that the Bennettis are a bad lot. But anyone can see that Robbie's a lovely lad - and not half as dangerous as cheeky Lu Cappa, who's always giving Pam the eye. 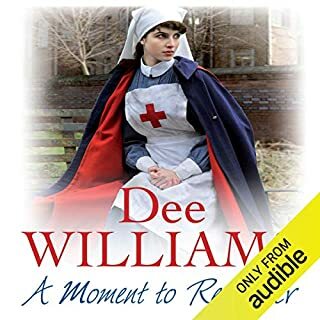 ©2000 Dee Williams (P)2014 Audible, Inc.